Big White’s Powder chair on a snowy Saturday last month. Next season Big White will operate a fleet of a dozen Doppelmayr and Leitner-Poma lifts including a six-pack and gondola. 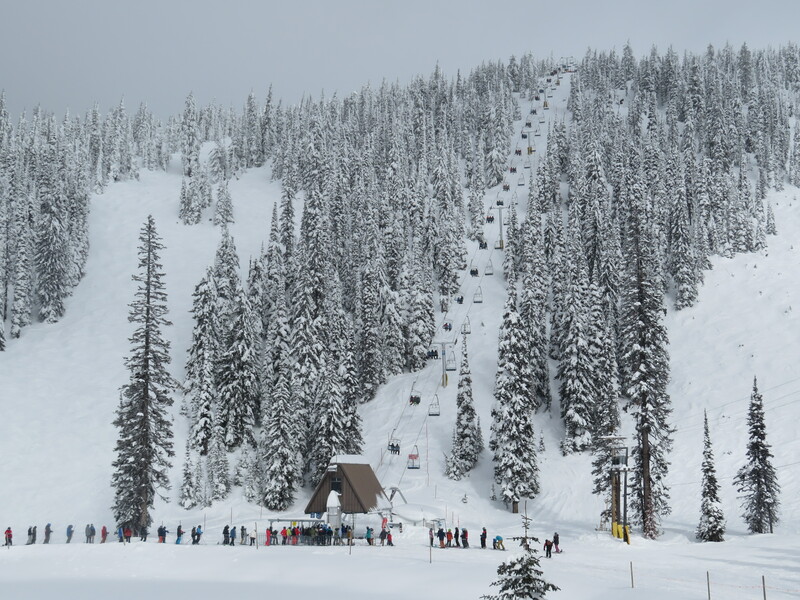 The new Powder Chair is the second announced Leitner-Poma fixed-grip project for 2018 after Arapahoe Basin’s Beavers installation. Last year, most of the Leitner-Poma Group’s fixed-grip orders went to Skytrac, though that division has yet to build a lift in Canada. New lifts are also coming to Blackcomb, Whistler, SilverStar and likely Sun Peaks in BC next winter. And lift announcement month continues! Indeed it is, Max. At least Leitner-Poma still makes fixed grip lifts. I will point out Doppelmayr has even fewer announced fixed-grip projects than Leitner-Poma. One! This year is proving to be very detachable heavy.